18 holes. Par 72. Length 6058m. A 4 Km. Girona Golf Club was opened in 1992 and designed FG Hawtree, who described it as one of his finest creations. It is very well maintained and is the only Spanish Pencross field with grass. Its pleasant and elegant nature is due to the topography and the natural setting in which is found, which also provides a challenge for players of all levels. 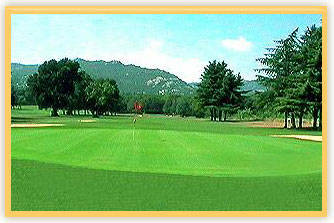 The field has a nice clubhouse built of natural stone, which perfectly blend with the surroundings. details: 18 holes. Par 72. Length 6058m. A 4 Km. From Girona and 56 Km. From France. Located in Girona. 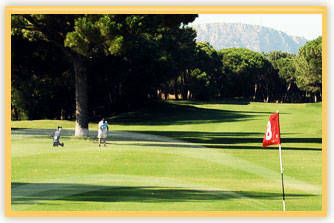 Emporda Golf Club has three 9 - hole courses that can be combined in three rounds of 18 holes. 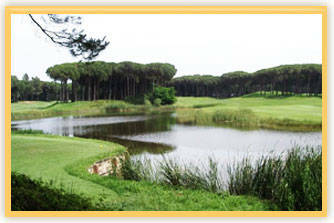 The first 9 holes are surrounded by lakes, dunes and large bunkers. The following 9 are among -oriundos pines of the Mediterranean and the last 9 also ideal for when the Tramontana decides blowing protection. Considered one of the best courses in Catalonia, Emporda Golf Club is also one of the PGA European Tour Qualifying Schools. details: 27 holes. 5975m length. Par 71-73. A 40 Km. From Girona and 5 Km. From Pals. Located in Pals. 18 holes. Par 72. Length 5986m. 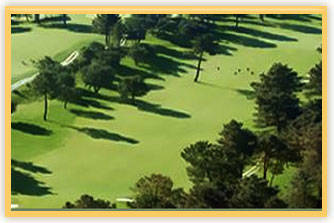 Serres de Pals is a new championship golf course opened in 2000. It is located between farmland and has magnificent views over the region of Emporda on the Costa Brava. 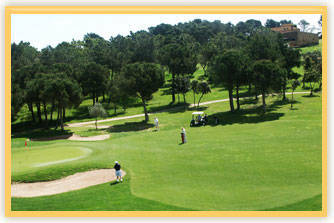 Along with golf clubs Pals and Emporda forms the Golden Triangle of golf courses in the area. The field has three areas differentiated by small peaks, pine forests and fairways between lakes, which is a challenge for players of all levels. details: 18 holes. Par 72. Length 5986m. A 40 Km. From Girona. Located in Pals (Girona). 18 holes. Par 73. Length 5940m. 18 holes. Par 70. Length 5445m. Located in Santa Cristina de Aro (Girona). The Club de Golf Costa Brava, which opened in 1968 and designed by Hamilton Stutt & Co., Near Playa de Aro and Sant Feliu de Guixols. The first nine holes of this beautiful country have been among pines and cork trees in undulating streets, which makes it a very challenging course. But the last nine are flatter and offer more opportunities to be labeled a birdie. The field boasts its magnificent house built in 1841 that is used as a clubhouse. Details: 18 holes. Par 70. Length 5445m. A 110 Km. From Barcelona, ​​30 Km. From Girona and 6 Km. From Playa de Aro. Club Golf d'Aro is located above the resort of Platja d'Aro and south of the Costa Brava, a spectacular setting with panoramic views over the coast. 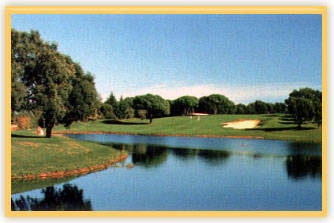 The course is undulating with water hazards and strategically placed bunkers, making it a challenging and interesting field, a unique opportunity to use every club in the bag. We recommend that you take a camera is worth keeping because the landscape. details: 18 + 9 holes par 3. Par 72. Length 6004m. A 110 Km. From Barcelona and 35 Km. From Girona. Located in Playa de Aro (Girona).